Synopsis : Touch screen tablet computers can support the learning process when used in an educational setting. Despite being more commonly thought of as a device designed for the passive consumption of content, touch-screen tablet computers can support the learning process when used in an educational setting - and not just as a mere e-reader or laptop replacement, according to new research from a team of University of Illinois experts in business and e-learning. 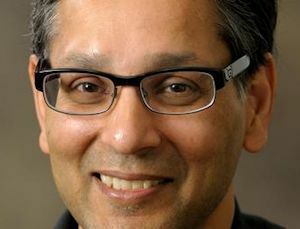 With technology in education becoming the new normal, it's increasingly important for educators to understand how ubiquitous mobile technology such as tablets can enhance learning instead of being classroom distractions, says Dilip Chhajed, a professor of business administration at Illinois and co-author of the study. The paper, published in the journal E-Learning and Digital Media, is based on research conducted in 2011 that studied the effects of mobile technology on student performance in a graduate professional business program. The research examined the impact of the integration of tablet computers in three areas of student performance: engagement, learning and professional development. The tablets were given to each student entering the Urbana campus Master of Science in technology management program at the beginning of the fall 2011 academic semester. "In 2011, tablet computers were still a very new piece of technology," said Chhajed, also the associate head of the department of business administration at Illinois. "But our thinking was, 'If grad students in a technology management program aren't going to use it, then who is'"
The research shows positive results in all three categories, with a considerable increase in students' engagement with classmates and team members that was directly attributable to the tablet's adoption, according to the paper. Overall, the results indicate that students used the tablets mostly as a tool for communication and as a reading device, with an average of 49 percent of class reading done on the tablet. By the end of the academic year in which the mobile tablet was introduced, 80 percent of students indicated they were comfortable reading content on a screen, noting that they rarely printed documents anymore. "Students liked not having to carry heavy backpacks full of books and laptops, and they enjoyed the easy, anytime-anywhere access to class materials," said Gopesh Anand, a professor of business administration at Illinois and co-author of the paper. In 2011, many of the apps that are now considered standard - word processing and presentation programs, for example - were not available for mobile technology. At the time, few students had used a tablet computer. "Now, of course, pretty much everyone has a tablet or is at least familiar with them long before they arrive in the classroom," Chhajed said. Faculty members teaching in the program also were offered tablets and encouraged to use them in whatever way they saw fit for class purposes. That was a risky approach, according to Anand. "It was aimed at creating pull from the students and faculty saying, 'Yes, this is something we want,'" he said. "We always think before we do anything new that we should lay the groundwork to preempt complaints from students, faculty or staff. What was refreshing about this approach was we didn't wait for perfection to start. And by taking that approach, we created buy-in from the students and faculty." The tablets weren't forced upon the students or faculty members, the researchers note. "We gave them the tablets and said, 'Use it any way you want if it increases your productivity,'" Chhajed said. "We didn't say, 'Don't play games or watch movies,' or put any other prohibitions or restrictions on it. We gave them the tools and then let them choose how to use it. And they used it for the things that mattered to them." The results were more positive than were anticipated by program administrators, said Norma I. Scagnoli, director of e-learning with the College of Business and co-author of the paper. "As someone who comes from the e-learning field, it was very interesting to see how students responded to what was then a new technology," she said. Scagnoli, also a research professor with the College of Education, said it was an enlightening experiment to see which aspects of the technology worked for students - as well as which didn't. "At the time, there wasn't a lot of information about how to do things like annotate documents on a tablet," she said. "But students found a way and figured it out. It was interesting to see how this new technology engaged them in critical thinking about their own learning strategies." Chhajed said administrators also organized extra events to tie technology to critical-thinking skills. "For each of the three years that we ran the experiment, in the spring semester there was an innovation challenge that was about designing an app," he said. "We gave them a week, and then they presented their idea to a panel of judges. That is where creativity comes in: When you're familiar with something, the question of how you extend it to a new environment presents itself." Former U. of I. graduate student Seung Won Hong is a co-author of the paper.